Chappell Builders has a long and proud history in the South Australian commercial construction industry. From modest beginnings as bricklaying contractors, we have grown into one of the state’s most respected and long-lasting commercial construction companies. The company was started by the Chappell family in 1963, who maintained operations until 2014. Founder A.J ‘Bert’ Chappell emigrated from England to Australia in 1949 and established himself as a bricklaying contractor before switching to the housing market in the post-war building boom. In 1963 A.J Chappell Proprietary Limited was registered, and in 1975 Bert’s son John joined the family business. Bert retired in 1989, and John retained sole ownership of the business for the next 25 years. During this time it experienced incremental growth, developing a solid industry reputation for delivering primarily institutional and local government projects, under tender or negotiated works contracts. In 2013, John retired and in 2014 Chappell Builders was acquired by the BADGE Group, one of Australia’s largest privately-owned builders with an annual turnover of nearly $380 million. 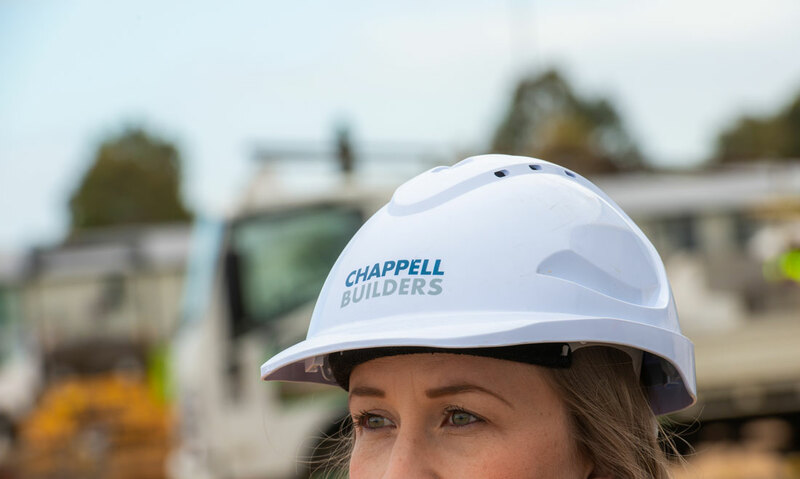 Retaining Chappell Builders as an autonomous business with the support of a larger parent company in BADGE means it continues its small project focus while delivering value for money construction solutions for its clients.